Wildlife disease ecology; behavioral, population and community ecology; conservation biology; mammalian carnivores. Gompper’s research examines a wide array of topics in ecology, evolution and conservation, with a central focus on the basic and applied science of wildlife disease ecology and mammalian carnivore ecology. Often these two themes are addressed simultaneously by using carnivores as model organisms or by examining how parasites influence carnivore behavioral, population or community ecology. This research agenda makes use of diverse analytical tools, experimental and observational field studies, molecular genetics, including non-invasive census techniques, laboratory parasitology and virology, GIS approaches, and a range of data analysis procedures, and often involves collaborative efforts with other researchers at the University of Missouri and across the globe. 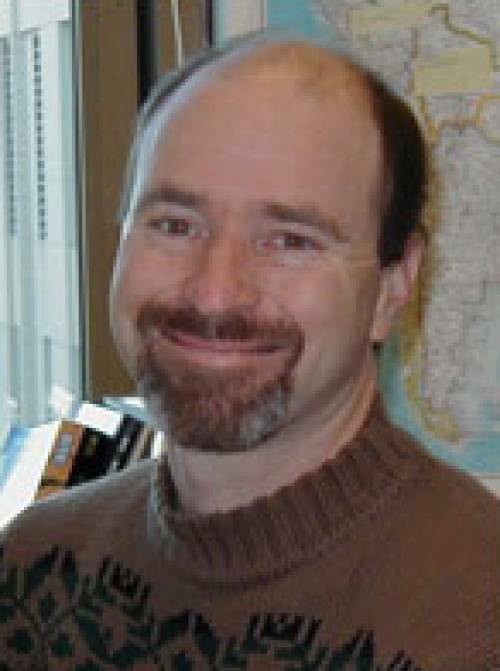 Current projects include studies of disease transmission between domestic and native carnivores; predictive modeling of individual-level exposure to pathogens; the community ecology of mesopredator guilds; the role of social behavior in disease transmission; the ontogeny of carnivore social structure; the extent to which diseases limit predator populations; and the history, ecology, and conservation of diverse mammalian taxa. Current study organisms (hosts) include raccoons, coyotes, small cats, free-ranging dogs, coatis, spotted skunks, foxes, otters, and tigers. Current study parasites include viruses (canine distemper virus, canine and feline parvoviruses, and rabies virus), macroparasites (nematodes), and ectoparasites (ticks, fleas, and lice). Current study locales include India, Brazil, Nepal, Mexico, and the Midwestern and Northeastern USA. Gompper, M.E., D.B. Lesmeister, J.C. Ray, J.R. Malcolm, and R Kays. 2016. Differential Habitat Use or Intraguild Interactions: What Structures a Carnivore Community? PLoS ONE 11(1): e0146055.doi:10.1371/journal.pone.0146055. Kafley, H., Gompper, M.E., Khadka, M., Sharma, M., Maharjan, R., Thapaliya, B.P. 2015. Analysis of rhino (Rhinoceros unicornis) population viability in Nepal: Impact assessment of antipoaching and translocation strategies. Zoology and Ecology.25: 288-294. Schuttler, S.G., Ruiz-Lopez, M., Monello, R., Eggert, L.S., and Gompper, M.E. 2015. The interplay between clumped resources, social aggregation, and genetic relatedness in the raccoon. Mammal Research 60:365-373. Belsare, A.V. and Gompper, M.E. 2015. To vaccinate or not to vaccinate: Lessons learned from an experimental mass vaccination of free-ranging dog populations. Animal Conservation 18:219-227. Mowry, R A., T. M. Schneider, E. K. Latch, M. E. Gompper, J. Beringer and L. S. Eggert. 2015. Genetics and the successful reintroduction of the Missouri river otter. Animal Conservation 18:196-206. Belsare, A.V. and Gompper, M.E. 2015. A model-based approach for investigation and mitigation of disease spillover risks to wildlife: dogs, foxes and canine distemper in central India. Ecological Modelling 296:102-112. Kafley, H., M. E. Gompper, F. Spinelli, K.L. Poudel, and B.P. Thapaliya. 2014. Alternative financing schemes for tiger conservation in Nepal. Wildlife Biology in Practice 10:155-167. Ruiz-López,M.J., R. J. Monello, S. G. Schuttler, S.L. Lance, M. E. Gompper, and L.S. Eggert. 2014. Major Histocompatibility Complex, demographic, and environmental predictors of antibody presence in a free-ranging mammal. Infection, Genetics and Evolution 28:317-327. Belsare, A.V., A.T. Vanak, and M.E. Gompper. 2014. Epidemiology of viral pathogens of free-ranging dogs and Indian foxes in and around the Great Indian Bustard Sanctuary, central India.Transboundary and Emerging Diseases 61(S1):78-86. Bianchi, R. de C., R. C. Campos, N. L. X. Filho, N. Olifiers, M.E. Gompper, G de M. Mourão. 2014. Intraspecific, Interspecific, and Seasonal Differences in the Diet of Three Mid-sized Carnivores in a Large Neotropical Wetland. Acta Theriologica 59:13-23. Gompper, M.E. 2014. Free-Ranging Dogs and Wildlife Conservation. Oxford University Press. Oxford, U.K. Belsare, A.V. and M.E. Gompper. 2013. Assessing demographic and epidemiologic parameters of rural dog populations in India during mass vaccination campaigns. Preventive Veterinary Medicine 111:139-146. Lesmeister, D.B., R.S. Crowhurst, J. J. Millspaugh, and M.E. Gompper. 2013. Landscape ecology of eastern spotted skunks in habitats restored for red-cockaded woodpeckers. Restoration Ecology 21: 267-275. Ruiz-López, M.J., R. J. Monello, M.E. Gompper, and L.S. Eggert. 2012. The effect and relative importance of neutral genetic diversity for predicting parasitism varies across parasite taxa. PLoS ONE 7(9): e45404. Monello, R.J. and M.E. Gompper. 2011. Effects of resource availability and social aggregation on the species richness of raccoon endoparasite infracommunities. Oikos 120: 1427-1433. Mowry, R.A., M.E. Gompper, J. Beringer, and LS Eggert. 2011. River otter population size estimation using noninvasive latrine surveys. Journal of Wildlife Management 75: 1625–1636. Gompper, M.E., Monello, R.J., and L.S. Eggert. 2011. Genetic variability and viral seroconversion in an outcrossing vertebrate population.Proceedings of the Royal Society 278: 204-210. Vanak, A.T. and M.E. Gompper. 2010. Interference competition at the landscape level: the effect of free-ranging dogs on a native mesocarnivore. Journal of Applied Ecology 47: 1225–1232. Monello, R.J. and M.E. Gompper. 2010. Differential effects of experimental increases in sociality on ectoparasites of free-ranging raccoons. Journal of Animal Ecology 79: 602-609. McFadden, KW, DG Vasco, AD Cuarуn, D Valenzuela-Galvбn, RA Medellнn and ME Gompper. 2010. Vulnerable island carnivores: the endangered endemic dwarf procyonids from Cozumel Island. Biodiversity and Conservation 19:491-502. Relative importance of demographics, locale, and seasonality underlying louse and flea parasitism of raccoons (Procyon lotor). Journal of Parasitology 95:56-62. Vanak, AT, Thaker, M., and ME Gompper. (2009). Experimental examination of behavioural interactions between free-ranging wild and domestic canids. Behavioral Ecology and Sociobiology 64:279-287. Dietary niche separation between sympatric free-ranging domestic dogs and Indian foxes in central India. Journal of Mammalogy 90: 1058–1065. The ecological role of the mammalian mesocarnivore. Bioscience 59:165-173. Dogs as carnivores: their role and function in intraguild competition. Mammal Review 39: 265–283. Summer resting and den site selection by eastern spotted skunks (Spilogale putorius) in Arkansas. Journal of Mammalogy 89:1512–1520. Evolutionary history of the critically endangered Cozumel dwarf carnivores inferred from mitochondrial DNA analyses. Journal of Zoology 276:176-186. The landscape ecology of coyotes based on large-scale estimates of abundance. Ecological Applications 18: 1014–1027. Subsidized predators, landscapes of fear, and disarticulated carnivore communities. Animal Conservation 11:13-14. Biotic and abiotic predictors of tick (Dermacentor variabilis) abundance and engorgement on free-ranging raccoons (Procyon lotor). Parasitology 134:2053-2062. Plight of predators: The importance of carnivores for understanding patterns of biodiversity and extinction risk. (PDF) Pp. 370-388 in: (P. Barbosa and I. Castellanos, eds) Ecology of Predator-Prey Interactions. Oxford University Press.